jpracing619 has no other items for sale. JPR PERFORMANCE LEVER SET. clean customized look. 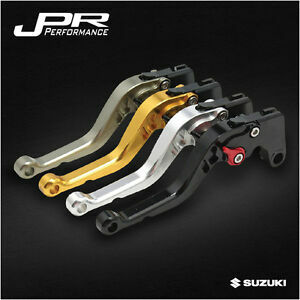 The JPR levers are built from quality CNC cut billet aluminum and. SUZUKI YEAR BRAKE # CLUTCH # LEVER SET #. ( INCLUDES CLUTCH AND BRAKE LEVERS ). SELECT BETWEEN 4 LEVER COLORS.